Masha and Zhenja Karachun are larpers and larp designers from Belarus. They have participated as speakers and facilitators at Larpwriter Summer School 2015 and Larporatory 2015/2016. Currently Masha and Zhenja act as organizers of the international Minsk Larp Festival 2016. They both work as educators at a university in Belarus. 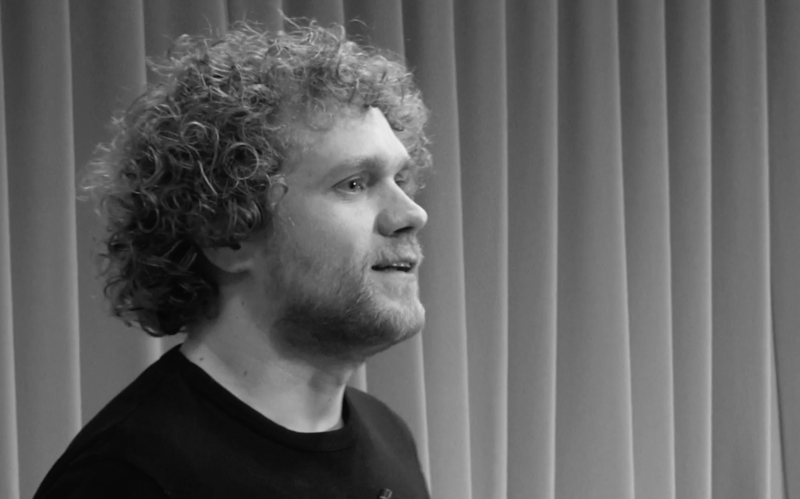 Jamie MacDonald is a stand-up comedian, writer, and player of many larps, who has written frequently on the subject of performativity and performance in larp. Usually stand-up comedians don’t use words like performativity, so it’s worth mentioning that he’s also a performance and theatre artist, and has also recently lectured in Art Larp at SADA in Stockholm. He’s been coming to KP/SK since 2009 and is the co-creator of the Walkabout series of performance games, as well as The Lovers’ Matchmaking Agency. 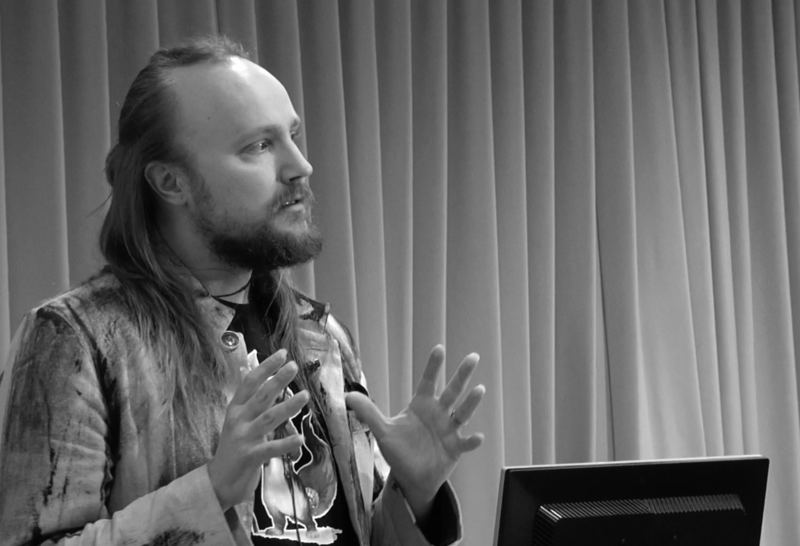 Finnish transmedia developer and larp designer Mike Pohjola talks about Baltic Warriors, a larp campaign of seven games in seven countries about the Baltic sea in the summer of 2015. The larps were about political meetings on the topics of the eutrification of the Baltic Sea. “What is eutrophication, and how do you make a larp about it, since it’s an abstract concept that you can’t show?” And how do you make a larp about hubris? About the passage of generations? How do you let your players interact with consumerism, pride, nuclear radiation, puberty, or communism? This inspirational and funny talk answers that question! (Hint: the answers involve DEAD ZONES and some pretty awesome monsters). 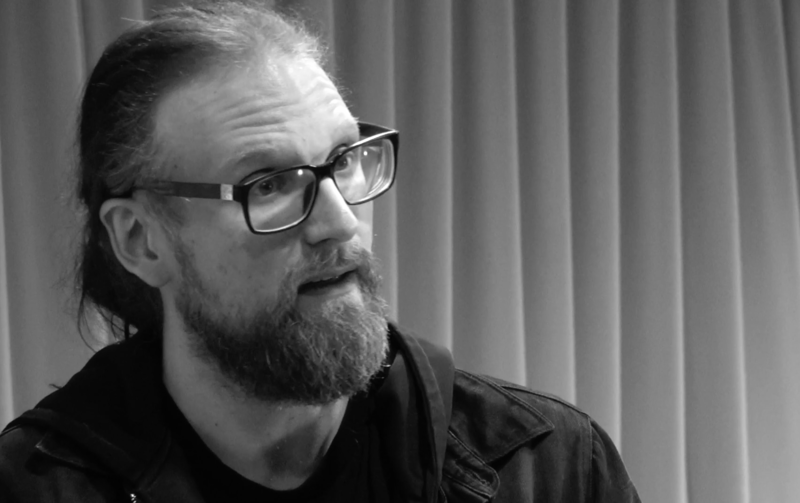 Mike Pohjola is a Finnish novelist, transmedia developer, game designer and entrepreneur. He has founded two media companies, that together have won an International Emmy Award, two Interactive Rockies, and a Prix Europa. He is a Master of Arts in Screenwriting from Aalto University, where his Master’s Thesis dealt with participatory storytelling in Classical Greece. He is also the designer and author of Age of the Tempest – a tabletop roleplaying game aimed for kids and beginners. 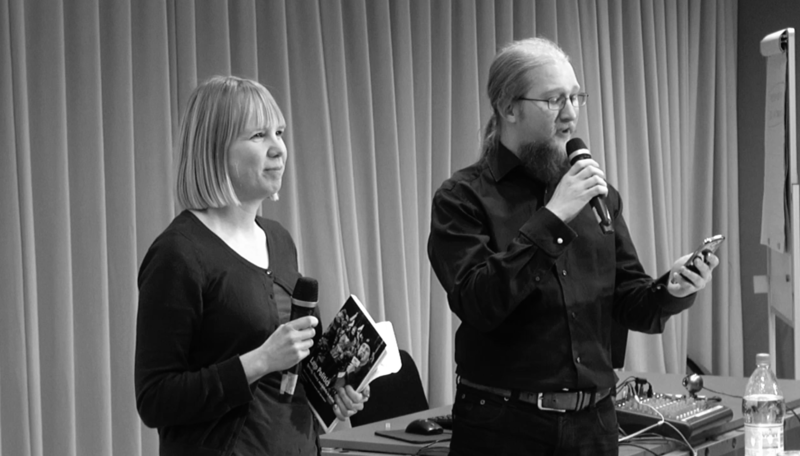 Editors Kaisa Kangas and Jukka Särkijärvi present the two 2016 Solmukohta (Knutepunkt) books: Larp Realia, and Larp Politics (both available as free pdf downloads). Jukka highlights the varied content of Larp Realia – ranging from an article about a larp buit around actual fistfighting to the first food recipe in the long history of the Knute-books! 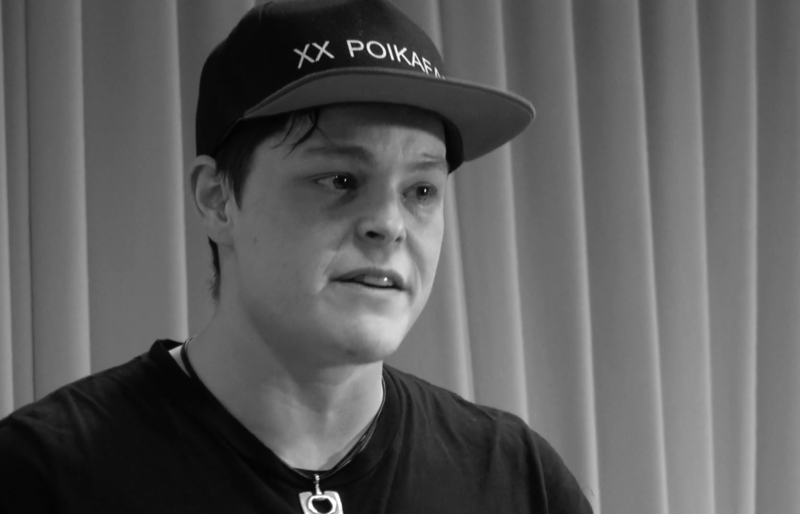 Kaisa talks about the new volume – subtitled “Systems, Theory and Gender in Action” – on the political dimension of larp. Among the topics are themes like refugees, fascism, experiences of larping as gay or trans, larp as labour, viewing larps with political science tools, and so on. A big section of the book is about political larps (including educational larps) from a range of countries. To the editor’s surprise, no articles about internal larp community politics were submitted. This is probably a sign of health! Kaisa Kangas is a Finnish larp designer who has been playing and making larps for 20 years. She is the fiction lead for the Palestinian-Finnish political larp Halat hisar (State of Siege) that will be run again in June 2016. 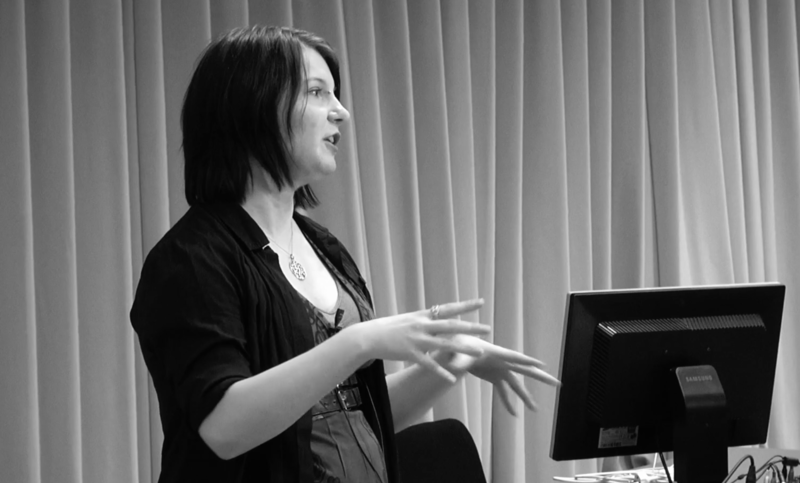 She is also involved with designing and running educational larps for University of Arts Helsinki. Her other works include Ghost Express (2001-2002, together with Dare Talvitie), a pioneer of pervasive larp. 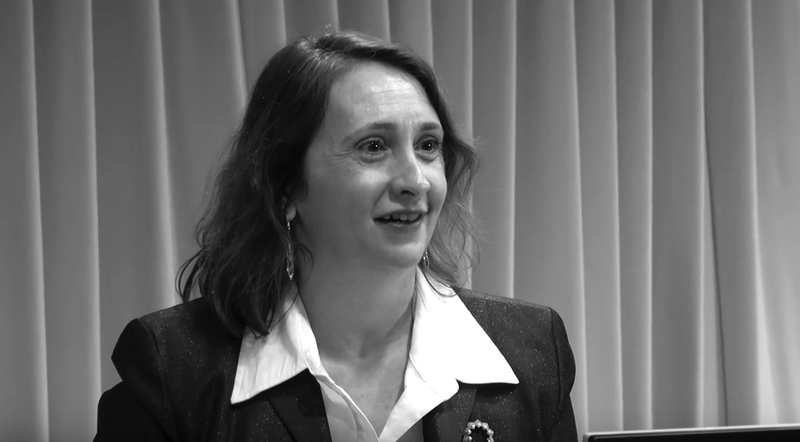 She holds a Ph.D. in mathematics and a BA in Japanese Studies. Jukka Särkijärvi is a writer, editor, translator, game designer, conrunner and Pathfinder Society Venture-Captain Emeritus from Espoo, Finland. 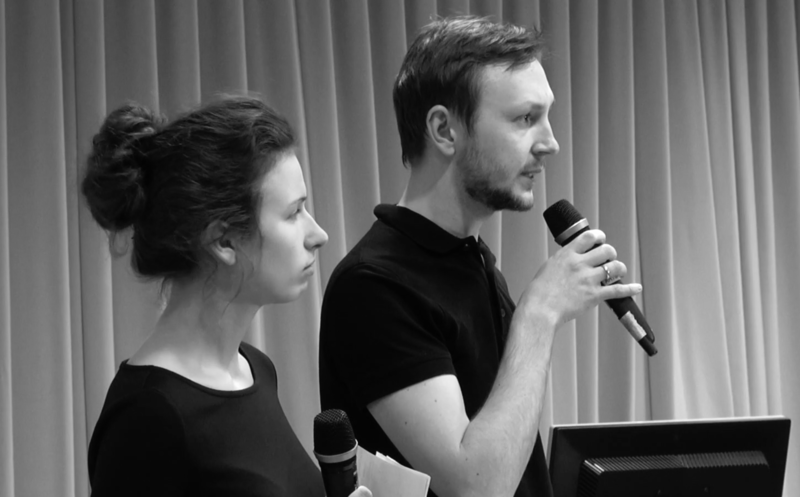 He is currently working on his master’s thesis in English language and literature at the University of Tampere. His previous work include translations of the Stalker and Whispering Road role-playing games, game design on Vihan lapset, a great deal of role-playing game journalism for a variety of publications both on- and offline, and Roolipelikirja, a nonfiction book about role-playing games.